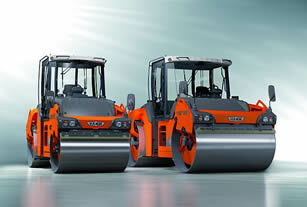 The market at the end of 2008 was full of enthusiasm for the new Hamm “HD+” range of tandem rollers with 12 tonne or more. A new face drilling rig for narrow tunnels and mines has been introduced by Atlas Copco. Based on its predecessor, the Boomer 104, the new Boomer T1 D offers an impressive array of technical and environmental improvements. African Queen Mines Ltd. has now commenced its Phase 1 exploration programme on the Rongo Gold Field Project in the Kanango gold mining area of the Migori District of Nyanza Province in Southwest Kenya near Lake Victoria. The World Bank has approved a US$50mn grant to the Democratic Republic of Congo to increase transparency and accountability in the mining sector so that the income from natural resources will be used for inclusive and sustainable growth.